Flip a coin. If heads Gary will kill you and get mad at you! If Tails Spongebob will murder you and attacks you! Flip a coin. 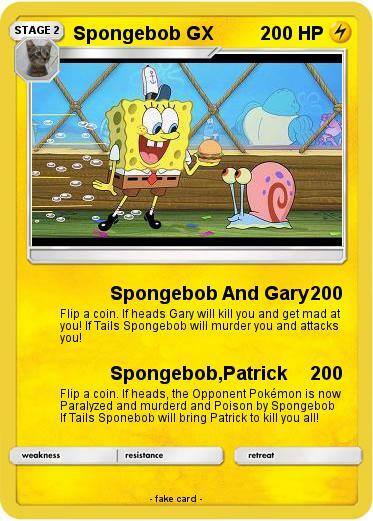 If heads, the Opponent Pokémon is now Paralyzed and murderd and Poison by Spongebob If Tails Sponebob will bring Patrick to kill you all!